A.M.Contract Curtain Services provide soft furnishings, curtains, blinds, floor coverings and upholstery to many clients in the hospitality, office and care sectors. Tony Morris came to Pedleyonline looking for a website to convey the high quality service they provide. An online gallery and secure contact form complete this elegant website. Read more about A.M. Contract Curtains in our Bromsgrove Website Blog. ‘A.M. 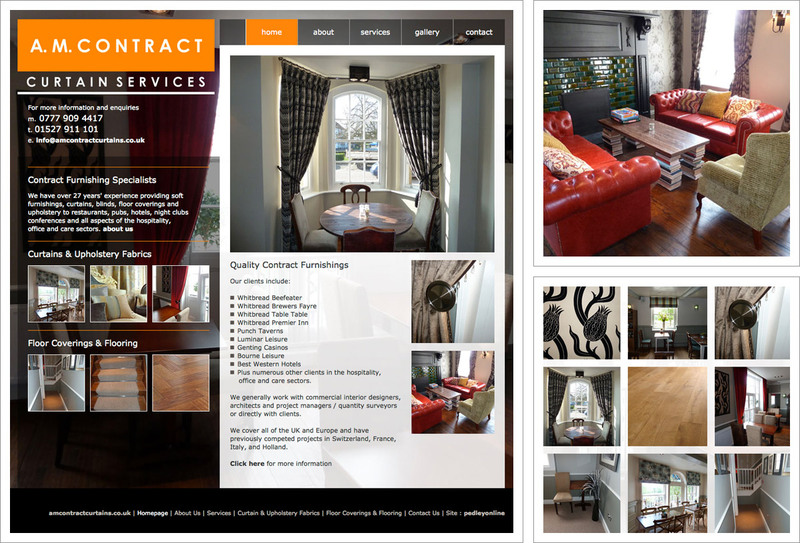 Contract Curtains Website goes live’.